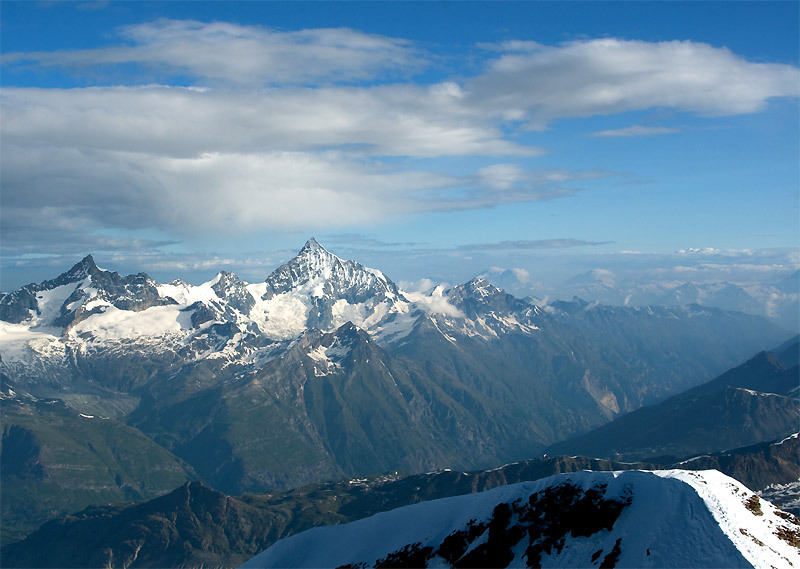 The Tour of Monte Rosa is a fantastic alpine adventure to help you discover the beauty of Monte Rosa and its valleys. The Quintino Sella Refuge is one of the main milestones in this wonderful tour where, in five days, you will discover the special characteristics of this region of the Alps. The tour begins with the famous Plateau Rosa to reach the summit of Castore and the subsequent descent during the first leg of the tour (six hours), to the Quintino Sella Refuge. From here departs the second leg that, crossing the Naso del Lyskamm, leads to the Gnifetti Refuge. On the third day, there is the climb to Colle del Lys up to Punta Zumstein to then spend the night at Capanna Margherita Refuge, while the fourth leg takes place along the Grenz Glacier in the direction of Zermatt, ending in the Monterosa Hütte Refuge. On the last day, climbers descend the moraine of the Gorner Glacier to reach Zermatt, and from here it is possible to return to the Plateau Rosa on the ski lifts.